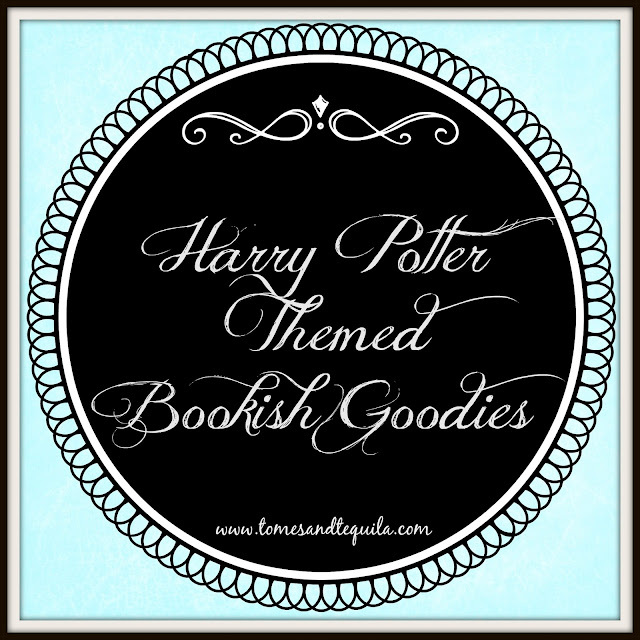 This edition of my Bookish Goodies guide is almost too easy to write. I think the hardest part is going to be only picking ten items! 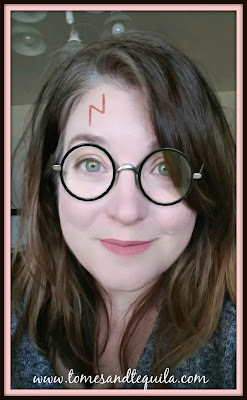 As I have mentioned before, I am a Harry Potter fan. I read the books to my children when they were young. We have all the movies and plenty of merchandise. 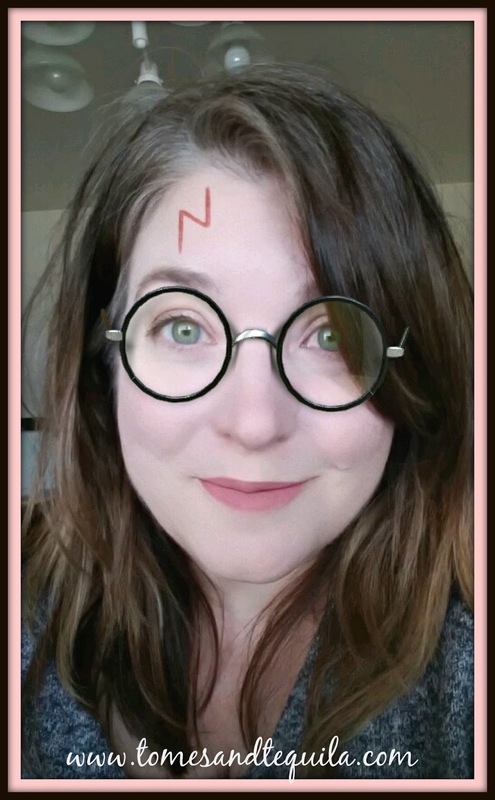 The library I work at is about to have our second annual Harry Potter night, which is always a blast. And I think it is perfectly acceptable to enjoy the Harry Potter universe as an adult. Okay, I'm starting a bit easy on this one. 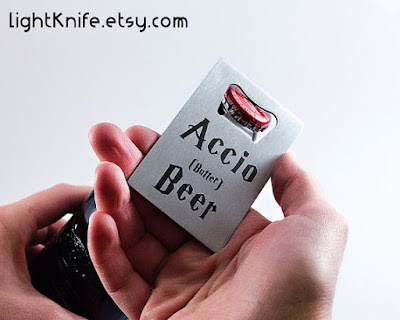 I would love to pull this bottle opener out during parties to open people's drinks. It would just make me happy in a very nerdy sort-of way. But then I write a book blog, so it would be expected of me. You can find it on Lightknife for $10.99+. 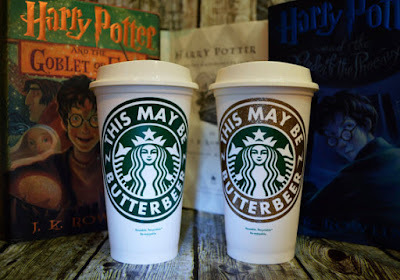 This genuine travel Starbucks mug comes with "This May Be Butterbeer" around the logo and can even be made in your Hogwarts house colors...and with a personalized handwritten font name on the back. It doesn't come a whole lot better than that really. You can find it on CleverHollyDesigns for $10.95+. 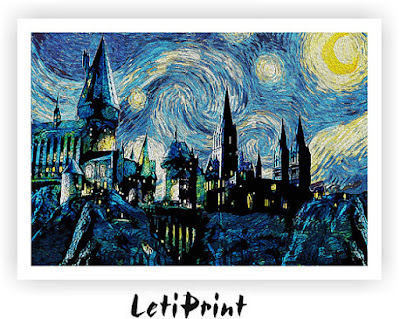 I absolutely adore pictures done in the style of Starry Night, for some inexplicable reason...and this print of Hogwarts is gorgeous. This would look great on the wall, and comes in many different sizes. Although the shop is in Bulgaria, the shipping is cheap and the reviews are terrific. They also have Game of Thrones, Zelda, Doctor Who and Star Wars prints...just to name a few. The starting cost on LetiPrint is $8. Call me old fashioned, but I'm a fan of pencils. Maybe it's because I work in an office, and use pencils daily...but I also think they make cute gifts. 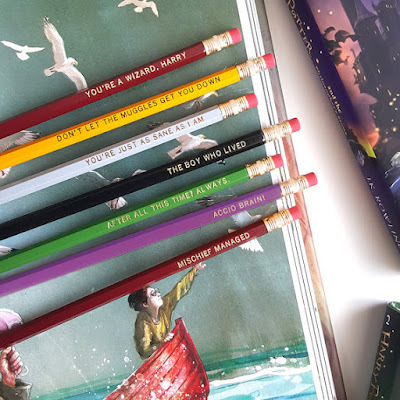 Whenever one of us at the library go on a trip, we usually bring back a small gift for the coworkers...and I have brought back pencils more than once. I believe my coworkers all have Naval Academy pencils at their desks...why not have Harry Potter ones also? It sure makes it easier to figure out who stole your writing implement. 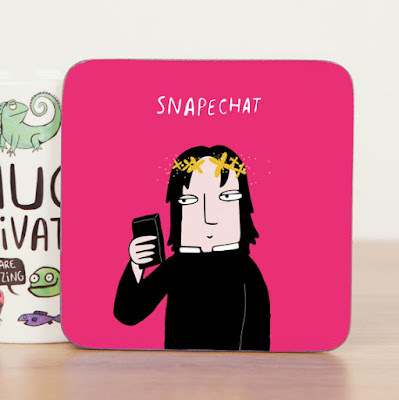 These can be found on IceyDesigns for $13.95 . Eh...can I blame putting this shirt on my list on my daughter?? This Tee just cracks me up. I would wear this. I don't know where I would wear it...but I would totally wear it. It would probably embarrass the crap out of my husband, but who cares really. 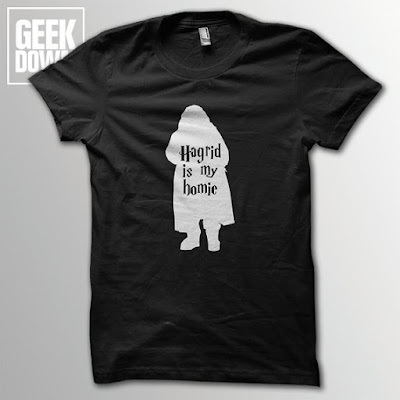 Hagrid would totally be my homie. You can find this on GeekDownApparel for $11.62. 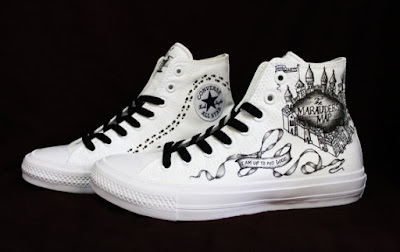 I am just in love with these Converse decorated with the Marauder's Map from Harry Potter. Done in waterproof fabric markers and a hand so skilled, I'm in awe...these would definitely be attention getters. EmbeditArts sells them for $111 but they also have Toms and Vans for significantly cheaper. I think this A4 sized Harry Potter quote is just beautiful. 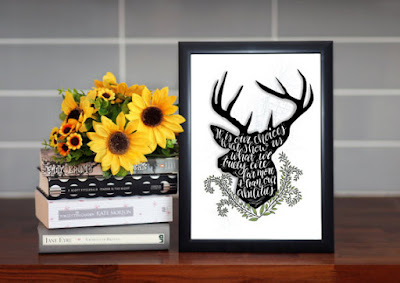 Stag designs are very popular at the moment, but when paired with a quote like this one it becomes more than just a trendy decor item. AlwaysBookish has a lot of great book themed artwork, and at a terrific price point. This one goes for $6.46, and I bet a lot of people wouldn't even know what book the quote came out of. I love this Harry Potter Infinity Scarf, and I honestly wish I would've ordered it in time for our program coming up at the library. To me, especially in my workplace, a fun scarf is the perfect accessory to really show your personality. 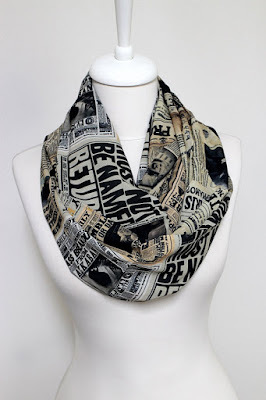 I have a coworker who wears fun t-shirts, but I'm not so much a goofy t-shirt gal as a scarf gal...and this Harry Potter newspaper patterned scarf for $18.90 at Aslidesign would go great with one of my many black tops. Since I've covered my coffee and alcohol drinkers, I figure I should have something for the tea drinkers on my page. I think this Grim Tea Cup Set is just hilarious. 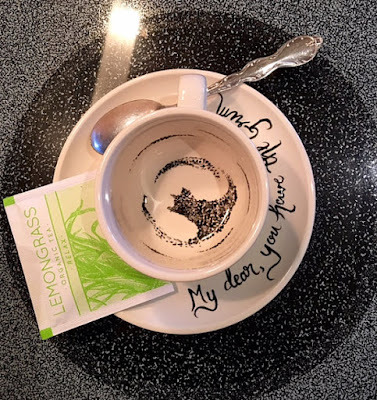 I imagine people who didn't know what cup they were drinking out of might be a little upset once they got down to the bottom and saw what was waiting for them. DragonHatcheryArts offers two sizes, starting at $14.50, just don't offer it to the skittish in your life. 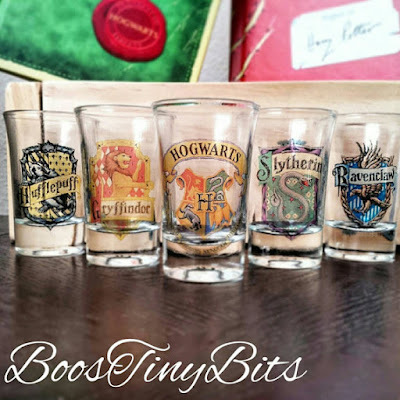 So there you have it, a few of my favorite Harry Potter themed items from Etsy. If you've never lost hours perusing the site, perhaps your pocket book is better off! I am a huge fan, and I love buying items on there that are a little different from what everyone else has. 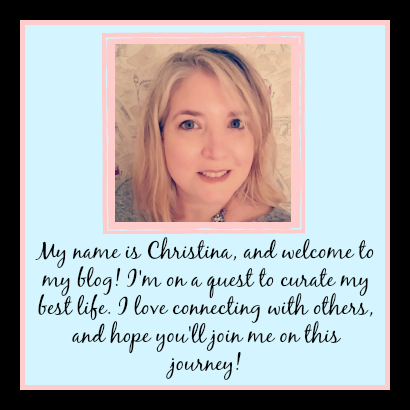 Do you have a book or book series you'd like me to do a shopping guide for? Let me know in the comments here or over on my Facebook page.